A group of community leaders met Dr Devyani Khobragade on Monday at the Indian consulate in New York and offered the support of the people. Ashook Ramsaran, president of the Global Organisation of the People of Indian Origin and INOC leaders, Zach Thomas, UA Nazeer, Malini Shah, Mohinder Singh and John Joseph were in the team that met her. Dr Khobagade did not comment about the case or the arrest. She said conversation is going on between India and the US to resolve the issue of the arrest. The team asked what the community can do for her. She said media exposure or publicity are not important at this point since discussions are going on. “She looked in good spirits and seemed to be optimistic that the crisis will be blown over soon”, Abraham said. The team also met Consul General Dnyaneshwar M Mulay, who too spoke about the discussion going on between the two countries. He said the relations between Indian and the US are very vital and it cannot be jeopardised. The team also complained about the BLS International, which is processing the Indian visa and passport applications. Mulay said he too was frustrated with their services and had recommended termination of their services. He said he has information about passports which are not even opened for 90 days. Mainstream Americans, who apply for visa too complain about the poor services. It will impact the image of the country, he noted. He asked people to bring problems to his attention and wanted to make the consulate work more transparent and accessible. The United States is reviewing the paperwork it received from the United Nations about the diplomatic accreditation of senior Indian diplomat Devyani Khobragade arrested early this month on visa fraud charges, an American official has said. "We received the paperwork from the United Nations late on Friday. It is under review," a State Department spokesperson told PTI. The spokesperson, however, refused to divulge any detail about the time the State Department would take to review the paperwork or if the entire paperwork was in order and when Khobragade would receive her identity card. 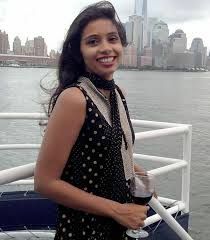 Khobragade, who was Deputy Consul General at the Indian Consulate in New York, was arrested on December 12 after a New York court issued arrest warrant against her on charges of visa fraud. India has contested her arrest and subsequent treatment. She was later released on a bail bond of $250,000 and she was asked to submit her diplomatic passport by the New York court. Soon thereafter, Khobragade was transferred by the Indian government to its Permanent Mission to the UN so that she gets full diplomatic immunity. Her transfer has been accepted by the United Nations, which sent the necessary paperwork to the US State Department for issuing the identity card that would grant her the full diplomatic immunity.